November 17, 2018 - No Comments! Business simulations have been gaining traction in organizational trainings. 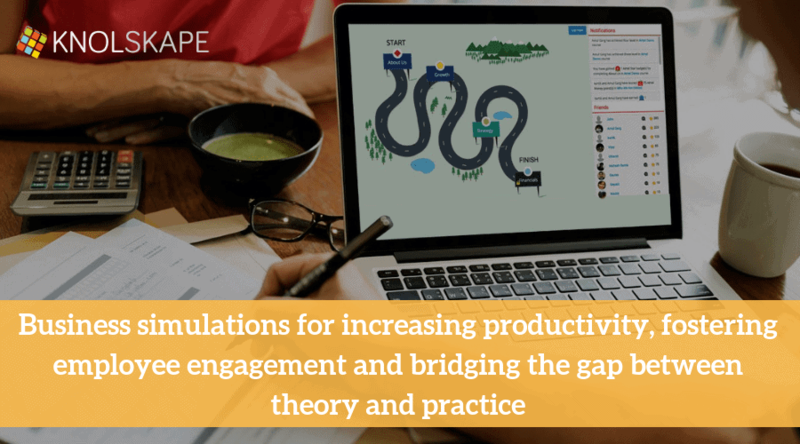 Organizations and learning and development teams are realizing the effectiveness of business simulations for increasing productivity, fostering employee engagement and bridging the gap between theory and practice. We have seen business simulations dominating the development aspect of an employee’s work life, but the benefits of making it a part of the employee assessment practice will help organizations with identifying their hi-pots and making unbiased decisions which is a major flaw with traditional assessments. Here we have listed out the top five reasons that business simulations must be a part of employee assessment practice. Business simulations provide feedback which is objective and prevent the biases that traditional assessment practices pose. The employee will be adjudged basis his/her performance in a simulation and it will not be influenced by his/her rapport with the assessor. This is beneficial in making accurate decisions with regard to hiring, promotions and building potential leaders. Simulations are created with the realities of the VUCA world. The participants face and deal with the scenarios that are life-like and feel the pressure that is a part of everyday life. The employees are assessed real-time and there is no fear of judgement or being watched as the decisions are made in a simulation. No two participants/employees are the same. Thus, the algorithms in the simulation adapt and change, constantly challenging the participants as per their individual capability. The traditional assessments can’t be altered and everyone gets the same test. Simulations record ample data to understand the participants’ behaviours. This is a fine aspect that simulation assessments provide to the participant and the assessor. These data points help in acquiring an understanding of the participant’s capabilities. This factor eliminates the human bias that comes in assessment. Simulations give a detailed report which is objective and purely a result of the responses of the participant in the simulation. These reports provide actionable insights wherein the learning and development professionals and participants can take call over the suitability of an employee for a particular role etc. The report is drawn from the participant’s ability to deal with different situations that he/she would deal in real life, hence decision making is smooth and unbiased. Simulations are a must have for employee assessment practice, not merely for these aspects but the level of engagement they provide. Learning and development professionals not merely acquire a thorough understanding of their employees but manage to efficiently cut costs and time which are a pain point of traditional assessments. If you aren’t convinced yet, connect with KNOLSKAPE to get a demo of our Virtual Assessment Centre to experience an extensive suite of assessment tools with business simulations at the core of it.